Clover doesn’t have a mobile phone and her mother has a permanent ban on Facebook. It’s hard to fit in with such levels of deprivation. When Clover is sent to the Principal’s office over two little words that slip from her lips, she reconnects with Keek, a boy from her old Primary school. They take up smoking, start hanging out together and Clover feels her world ease. When the new Art teacher introduces unusual creative methods and the cool girls draw Clover into their circle, Clover wonders if the the world is righting itself, especially when the boy of her dreams starts circling. 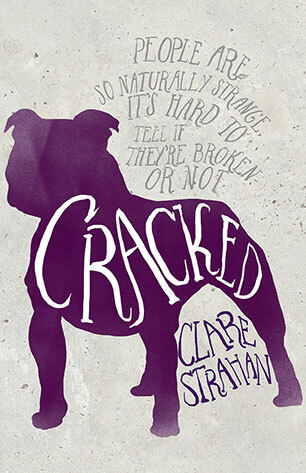 But betrayal, broken promises and an aging family dog send Clover’s world into a downhill spiral. When Clover gets caught in an act of environmental protest, she faces losing everything but things still haven’t hit rock bottom. Clover and Keek worked their way into my heart and wouldn’t let me go. I had to keep reading, hoping they’d both find an upswing. Their separate journeys were full of heart amid the brokenness: a bit like everyone’s. But nothing prepared me for where they would fall.